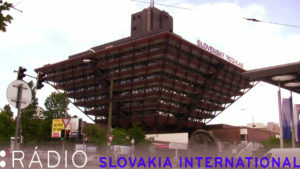 “The Inverted Pyramid” , is the main identity of the radio Slovak building. The construction of thi building started in 1967. Štefan Svetko, Štefan Ďurkovič and Barnabáš Kissling were the architects of this building. It completed in 1983. The building is 80 metres high and has a 522-seat concert hall with a large concert organ. The first test broadcast was made in 1984 and regular broadcasting began on 27 March 1985. Now it is the house of worldwide internet broadcasting Radio Slovakia International. The Slovak Monuments boards said, “It represents the architectural heritage of post-war modern architecture. It is one of the most significant pieces of the late modernism in Slovakia in its most expressive and experimental form.” They proclaimed it as a Historic Monument on 31 January 2018. Though it is in the list of 30 ugliest building in the world.